The previous sign in this location was destroyed by a vehicle. The original sign did not have a base, but we were able to add height by using one of our standard bases. We used decorative wall cap to trim the top. The sign also includes decorative panels, oak leaves with acorns, on both sides. 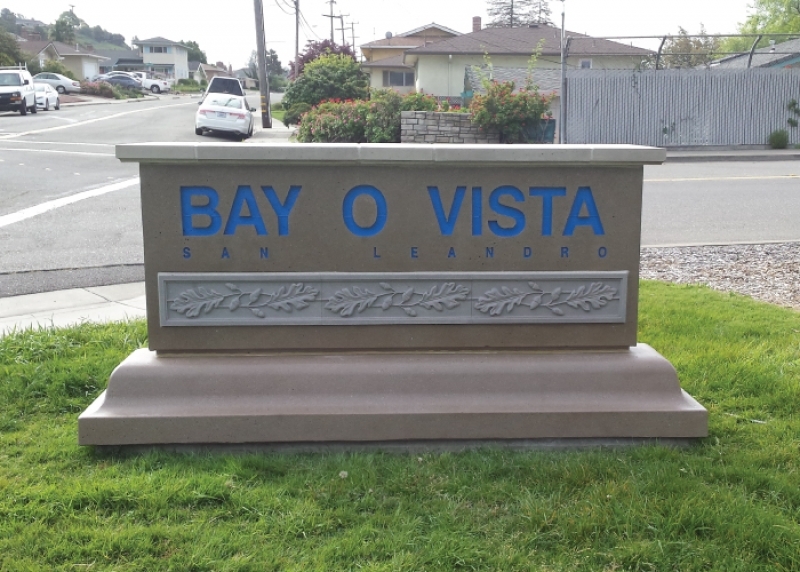 The contrast between the sign color and the trim/decorative panel colors, gives the sign a nice contrast. 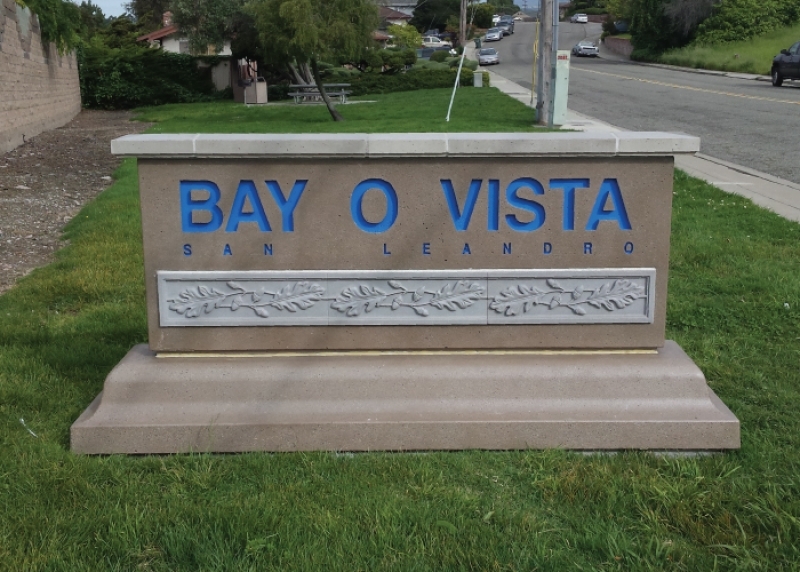 "Bay O Vista" is cast into the sign at a 1 inch depth, then painted a bright blue color. We've refreshed the sign, while still keeping the original design.